Kate Middleton's engagement dress replica available for £99 | HELLO! The Duchess of Cambridge, née Kate Middleton, has long been a style icon – but it was the moment she announced her engagement to Prince William that "the Kate effect" really struck into force. Wearing the navy blue Issa 'Phylis' wrap dress, Kate inspired women around the world to snap up the £575 design, and it quickly sold out. Now, almost six years later, fans of the classic design have the chance to get their hands on an affordable replica, thanks to a collaboration between Monsoon and Issa's former creative director Daniella Helayel. The designer collaboration includes wrap dresses in a number of colours and patterns, including fuchsia, emerald green and floral prints. But it is the navy 'Gisele' dress that appears to be proving the most popular, with only two sizes currently left in stock on the Monsoon website. 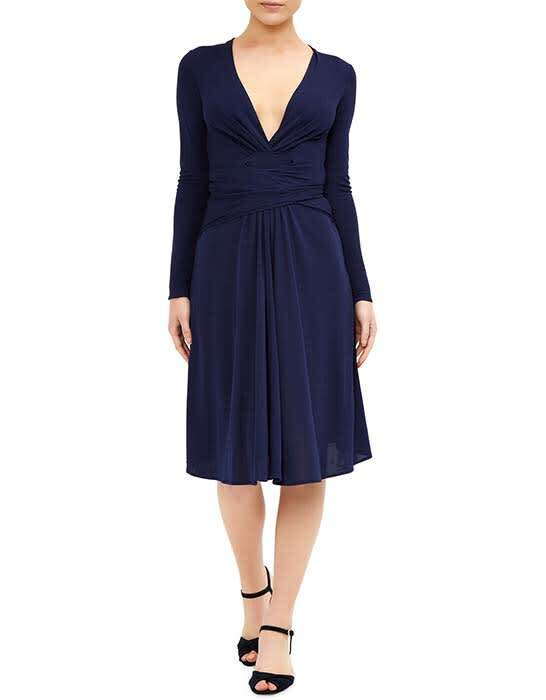 We can see why – the navy viscose dress is remarkably similar to Kate's dress at a fraction of the price. With a v-neckline and tie waist, it's flattering and easy to wear, plus it is a timeless design that can be worn for years to come. London-based Daniella recently told HELLO! that her "Brazilian soul and spirit" is reflected in her Monsoon collection, and said she keeps her dresses simple so each woman can accessorise as she chooses. "You'll notice that my dresses are very simple," Daniella said. "They never have buttons, the zippers are always invisible and the cut is very simple, so the woman wearing them feels free to accessorise as she wishes."